Named to the PING All-West Region Team ... A second-team All-Pac-12 selection ... Second on the team in scoring average at 71.68 ... Recorded a three-round total of 216 (72-69-75) to finish even par and tied for 21st at the Rod Myers Invitational ... Led the team at the Trinity Forest Invitational finishing 10th at 2-under par for the week with a three-day total of 211 (72-68-71) ... Recorded second consecutive top 10 finish at the Nike Collegiate Invitational, shooting a 6-under par 207 (71-70-66) for the week ... Finished stroke play of the East Lake Cup with a 9-over par 81 ... Fell 2&1 in both the semifinal and third place match ... Shot 1-over par with a three-round total of 217 (75-71-71) and finished tied for 51st at the Amer Ari Invitational ... Went 1-over par over the two rounds at The Prestige, finishing tied for 10th after shooting rounds of 73 and 70 ... Placed in the top 10 for the second straight tournament and fourth time on the season, coming in tied for ninth at the Bandon Dunes Championship ... Bounced back from an opening round 76 with a 67 in round two and a final round 66 to finish 4 under for the tournament ... Turned in third straight top-10 finish, coming in tied for ninth at 1 over in the Duck Invitational ... Came in tied for 20th at 1-under par (69-70-73) in The Goodwin ... 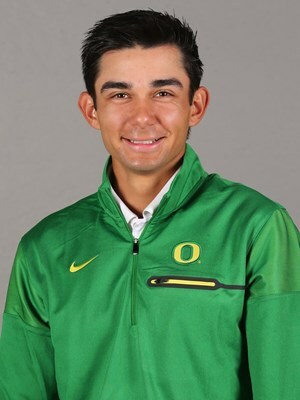 Shot an opening-round 69 at the Western Intercollegiate before a 72 in round two and a final round 73 put him in a tie for 41st at 5 over ... Tied for 41st at the Pac-12 Championships at 3 over (71-68-74-74) ... Finished tied for 13th at NCAA Regionals, shooting 4 under ... Fired a final-round 66, opening with a 7-under 29 on his first nine to provide a huge boost to get the team into the NCAA Championship ... Went 12 over at NCAA Championships, finishing tied for 107th.